Rolling at an altitude of 610 m, Ponmudi (meaning the Golden Peak in Malayalam) is the least haunted by tourists and therefore the most peaceful of all Kerala hill stations. Embellished with rapids flowing over the road, and misty peaks thronged by an exotic vegetation, Ponmudi is a hiker’s and trekker’s paradise. At a distance of 61 km (1 ½ hrs drive) from Thiruvanthapuram, Ponmudi offers to soothe your work worn mind and body to rejuvenation. Hike through the slopes of tea gardens to watch the pickers at work or fish in the emerald waters of the Kallar River to make the most of Ponmudi. Ponmudi is connected to Trivandrum by a two lane highway (SH2 & SH 45). The last 18km starting from Anapara has scenic views, as it winds through the mountains and tea gardens. The travel along this stretch provides a thrilling experience as drivers and riders have to navigate 22 Hairpin turns. [tone] Ponmudi is also a popular spot for backpacking and trekking. The climate is pleasant year-round. Some notable tourist attractions located in Ponmudi are Peppara Wildlife Sanctuary, Echo Point and various trekking spots. Mist-laden valleys, especially Golden Valley near Kallar River, also draw tourists. Travelers can find a deer park and wood and stone cottages coloured in bright hues while visiting here.Located about 1.5 km from the hill station, is the Ponmudi Falls. Around 3 km from the Ponmudi Resort, is the Deer Park. The Meenmutty Falls, another tourist attraction of the region, is about 3 km from the Kallar Main Road. Peppara Wildlife Sanctuary, located on the outskirts of Ponmudi, is a preserve spread across 53 km2 and accommodates a variety of wild animals and birds like Asian elephants, sambar, leopards, lion-tailed macaques, Malabar grey hornbills, etc. The landscape of Ponmudi is an interspersing of valleys and hills with forestland and plantations. Ponmudi is having an extensive importance of biodiversity, which plays a major role in maintaining the ecological balance of the area. 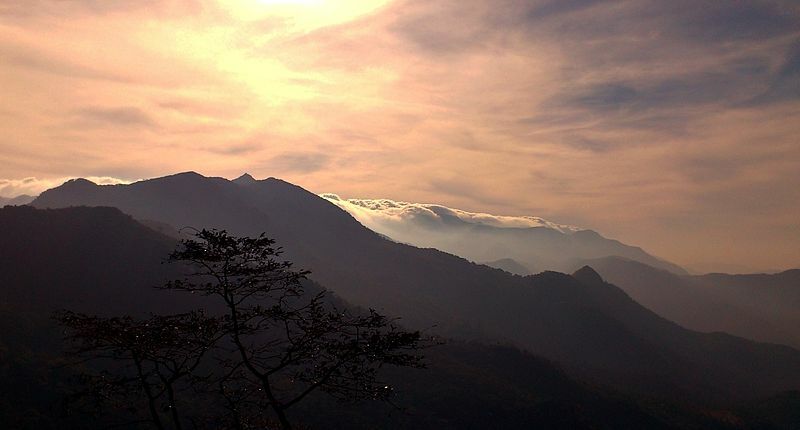 Ponmudi is host to 283 species of birds, many of which are endangered and threatened. Birds endemic to this region include the painted bush quail, the Malabar grey hornbill, the Wayanad laughing thrush, the broad-tailed grass bird and the Nilgiri pipit. The grasslands of Ponmudi are the breeding grounds of the broad-tailed grass bird, a threatened species. “Fifty-nine per cent of the 483 bird species in Kerala are found at Ponmudi. Of the 16 species of birds endemic to the Western Ghats, 15 are at Ponmudi. Of the 332 species of butterflies in the Western Ghats, 195 are found here. Of the 37 butterfly species endemic to the Ghats, 24 are found at Ponmudi. The spot puffin, a rare butterfly, has been sighted at the Kulachikarai-Panayam-Merchiston area where ISRO’s land comes. Similarly, Ponmudi is also host to many species of reptiles and amphibians, including the highly endangered Travancore tortoise, the Malabar Gliding Frog and the Malabar tree toad. Nilgiri tahr is also found in Ponmudi hill top. A small tourist guest complex perched among picturesque green slopes ensures comfortable stay at Ponmudi. Duke’s Forest Lodge located between Thiruvanthapuram and Ponmudi amidst rubber plantations is also available.